Need Gutter Cleaning in Central Valley California? Call Win-Win Cleaning Services today for a fast free quote. The same company that provides Central Valley window cleaning and house cleaning also cleans gutters. We'll have your Central Valley gutters cleaned and functioning as they should in no time, and at a fair price. Our trained Central Valley gutter cleaners have years of experience and have the ladders and tools necessary to reach any gutter quickly and safely. 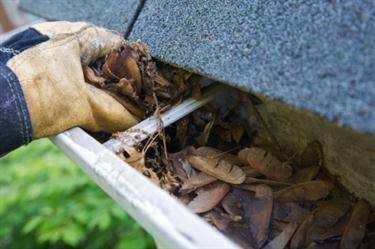 It is important to clear your Central Valley gutters of leaves and debris. Clogged gutters make inviting homes for insects. They can also become heavy when full and clogged, which will pull down on your eaves and may eventually lead to structural damage. Let Win-Win Cleaning Services remove both your debris and your gutter cleaning worries! Win-Win Cleaning Services makes gutter cleaning in Central Valley simple. Save time and avoid injury or damage to your property by having Win-Win Cleaning Services clean your Central Valley gutters. Call now at (530) 208-5320 for a fast free quote.